Whizz Engineering Services Pvt. Ltd. is one of the renowned names of the market engaged in manufacturing, supplying and exporting a superior quality range of Material Handling & Air Pollution Control & Equipment, Recycling Plants and Accessories for PET Bottle Recycling , Recycling Plants for Non Ferrous Metals , since 1999. Moreover, we are engaged in rendering excellent Product Development Manufacturing and Assembly Retrofit Services to the clients. In our range, we offer Pulse Jet Self Cleaning Bag Filters, Multi Cyclone Dust Collectors, Industrial Process Centrifugal Fans, Rotary Airlock Valves & Feeders, Double Flap Valves and Industrial Fans And Ventilators, Dust Fume Extraction Systems We also provide Super-critical Extraction Plants, Tubes and Bars Handling Automation Conveyors and Presses. 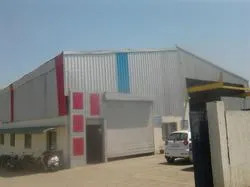 We have supplied the Automation conveyors to a American World Leader in Contionus NDT systems and commissoned at a Highly advanced Tube Manufacturer in India . We have collaborated with World leader in Recycling Business from South Korea and are offering complete turnkey execution of PET Bottle Recycling Plants for a capacity 2 tonnes per Hour . We have carried out major technological innovations and engineering services for a Non Ferrous Metals Major in India . With the help of our advanced manufacturing facilities we undertake specialized Manufacturing of , Heavy Duty Forged Copper Contractors, Electrode Contact Tip, These products are made using high-grade raw material & components procured from some of the trusted vendors of the industry. Moreover, we carry out all the production related processes with the aid of latest technology and advanced machinery. Our Products are designed by a team of skilled & proficient professionals using laterst SolidWorks for Modelling. They ensure to manufacture the products that can meet the exact requirements of different industries and sectors. We offer the facility of customization to attain maximum level of customer satisfaction. 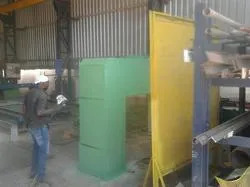 Moreover, the products offered by us conform to the international quality standardsT Besides,with the support of our experienced professionals, we have been able to offer excellent services and products in the market. The products and services offered by us fulfill the exact needs of our clients in an efficient manner. They also provide customisation facility, which helps us in attaining maximum level of client satisfaction. Besides Several Indian Top names as the customers we export our products to Middle East ,Egypt and USA. Our organisation is headed by 'Mr. Makarand Kulkarni' who is our Managing Director. He has a degree in Bachelor of Technology and more than 25 years of experience. His excellent knowledge & expertise have enabled us to attain success. 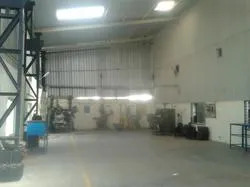 We have an advanced infrastructure, which helps us in offering a superior quality range of Air Pollution Control & Material Handling Equipment, CO2 Extraction & Recycling Plants and Accessories to the clients. The infrastructure is segregated into different departments such as designing, manufacturing, R&D, quality controlling and others. These departments are equipped with latest technology and modern equipment. 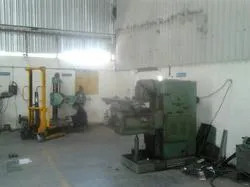 Our team of experts makes sure to oil & maintain all the machines installed at our unit. Besides, our R&D unit helps us in making our products & services better. We have a team of highly talented & dedicated professionals, which is the real strength of our organization. These professionals work with complete determination to offer excellent Air Pollution Control & Material Handling Equipment.s to the customers. Our workforce helps us in offering the products and services that can satisfy the client''''s needs in an efficient manner. They also contribute in attaining the predetermined organizational objectives with utmost efficiency. Moreover, we organize different training seminars and workshops for our organization. Our organization stays ahead from our competitors by offering genuine quality Bulk Material Handling Systems , Air Pollution Control & Material Handling Equipment, . Moreover, we follow fair business practices in all our endeavours. · Experienced and focused specialists in the field with ability to deliver. · Highly qualified and experience project execution and management team. · Computerized company structure with advanced design software’s with state of art tools and skills. · Operatives involvement in production quality assurance. · Customer oriented and prompt Sales and Marketing Team. · Highly qualified and experienced design and engineering professionals. · Qualified and supporting network of suppliers and manufacturers. · Relevant International testing methods in line with International Standards. · Operating through associates to achieve commitments to the customers, through associations and affiliations, deriving the strengths and pooling together. 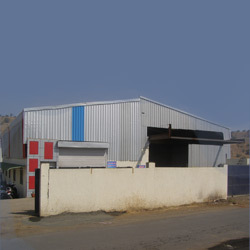 · Warehousing and packaging facility. · Customer orientation and quick responsive sales & marketing team. · Advanced designing software available. · Experienced project execution & management team. · On-time delivery of consignment.